We are based in West Yorkshire with regular sporting clay shoots throughout the year in the hills near Skipton. 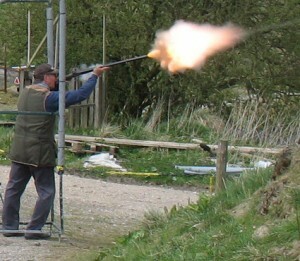 In addition there are rifle target shoots at a range near Huddersfield. We also host the MLAGB National, North of England Championships, held in April, and attend the Yorkshire Game Fair where we host a Have-a-go stand in conjunction with other MLAGB members to promote black powder shooting.